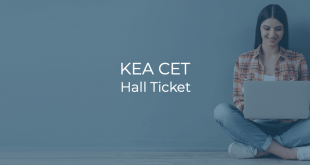 KEA CET 2019: Hall Ticket Released. Karnataka Examinations Authority (KEA) has released the admit card / hall ticket for candidates appearing for KEA CET 2019. KEA CET 2019: Correction Facility Started. Karnataka Examination Authority has made available the facility to edit one's particulars in the Application Form for KEA CET 2019 exam. KEA CET 2019: Exam Schedule Revised. Karnataka Examinations Authority (KEA) has revised the schedule for the KEA CET 2019 examination. KEA CET 2019: Registrations started. KEA CET 2019 registrations have started from February 1, 2019. The last date for applying is February 28, 2019 (upto 5.30PM). KEA CET 2019: Exam Schedule Announced. KEA has announced the schedule for the KEA CET 2019 examination. It will be conducted on two days in four different sessions for four subjects.